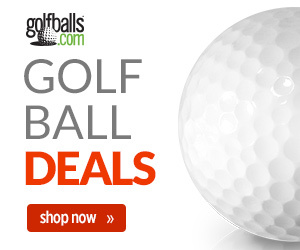 Here at Golfballs.com, we love the game and the people who play it. That’s why we’re introducing our Player’s Spotlight Series, where we focus on some of our favorite pros both past and present. 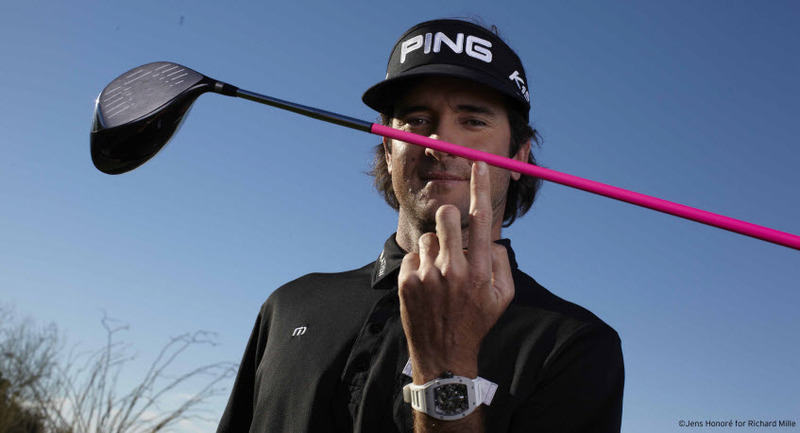 Our first choice is none other than Bubba Watson. 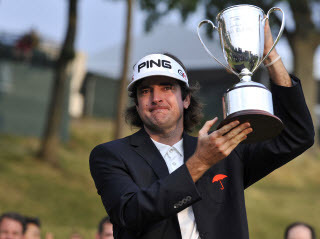 With his recent victory at the 2015 Travelers Championship and his years of stellar performance, Bubba is currently ranked the world’s third best player. Their paths to golfing stardom, however, couldn’t be more divergent. Long John was a 25-year old unknown rookie when he suddenly burst into golfing consciousness to win the 1991 PGA Championship at Crooked Stick Golf Club. He became an instant folk hero. When Gerry Lester Watson was 25, he had just decided to try professional golf. Bubba had been a Junior College All-American at Faulkner State Community College and was able to transfer to the University of Georgia to play on the SEC title winners in 2000 but none of that indicated a life on the PGA Tour in his future. 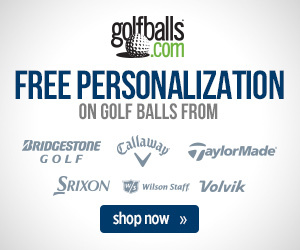 Through 2005, Watson teed it up in 63 professional tournaments and never won any of them. The PING and Titleist spokesperson did play just well enough to qualify for his Tour card in 2006 and made enough cuts to stay out with the big boys. But his main notoriety was leading the Tour in driving distance at 319.6 yards (no player other than Daly had averaged 300 yards per drive until 2003). For the early years, however, Tour golf was a slog for the long-balling lefty. It wasn’t until 2010, at the age of 31 and after 108 starts that Watson broke through with his first tour victory at the Travelers Championship. It took extra holes against veterans Corey Pavin and Scott Verplank before Watson could escape the rowed ranks of non-winners on Tour and claim the first hardware for his trophy case. Later that summer Watson made another playoff, for the PGA Championship at Whistling Straits. This time the golfing fates were not so kind as Bubba lost a three-hole aggregate score to Martin Kaymer. Nevertheless, the spigot to success was now open. In the years since 2010, Watson has never missed more than three cuts in a season and recorded a win in every year, save 2013. He has represented the United States in the Ryder Cup in 2010, 2012 and 2014. When 2010 dawned, Bubba Watson, winless in 171 tournaments as a pro, was just another guy with a pink driver who could hit the ball a mile. But in his thirties Watson has evolved into one of the most consistent performers on tour. The last six years have brought $23 million in prize money, eight victories (five in playoffs, a testament to his fearlessness), and those two major wins. Watson himself has stated that his career goal was always just “ten wins” because it sounded like a nice round number. If he finishes this decade like he has started it, Bubba will need to start brushing up on a Hall of Fame acceptance speech. Don’t expect him to use a coach for that, either. And for the record: we hope Bubba keeps being Bubba. Golf needs unique personalities and breaths of fresh air. Bubba is each of those. Next story Which Countries Breed the Best Golfers? Previous story Will Spieth Take the Grand Slam with Next Two Majors?